Featuring Beer ... And Golf! Short Weekly conversations for people passionate about marketing, golf and beer! 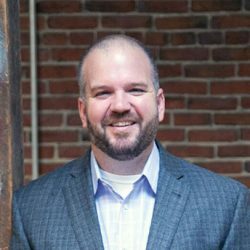 Marty McDonald is the Co-Founder and CEO at Bad Rhino Inc. Bad Rhino won top Social Media agency award in 2016 and 2017 by the research firm Clutch. I think that Bad Rhino’s diligence and their sense of personal and professional investment in the client are very high. Bad Rhino has figured out the process to manage campaigns. Marty and Team do what they say they will without any fluff. It’s really been perfect from the beginning with Bad Rhino, and I can’t say anything bad about them. We’ve worked with Bad Rhino on several projects and have always been happy with their service, results and professionalism. Its Great Beer Now What? Don’t miss our latest podcasts and videos. © 2019 Copyright Taps & Tees. All Rights Reserved.